The other day, a preggers friend of mine posted her ultrasound pics on Facebook. Wow. Have things changed in the 12 years since I was last pregnant. 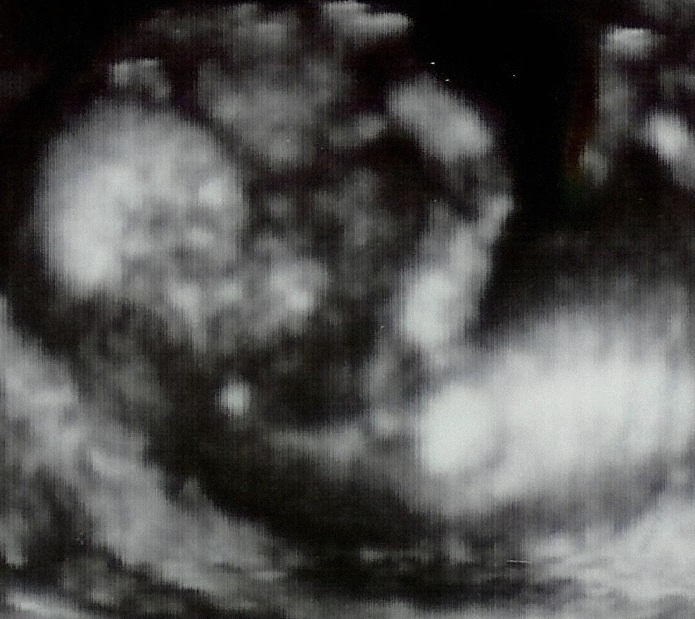 The ultrasound images I got of my soon-to-come kiddos more than a decade ago were old school: blurry, static-y, black-and-white and barely discernible. They pale in comparison (literally and figuratively) to today’s three-dimensional, multicolor, fully enhanced scans. Heck, you can probably see Junior’s freckles in today’s versions. When did ultrasounds go from being a medical procedure to something you could buy at a strip mall? If I consider this fascinating/weird/amazing, I can only imagine what the matrons of my mother’s generation must think. Back then, a mom-to-be had no idea what her kiddo might look like – much less whether it was a girl or a boy – until she awoke from her drug-induced stupor to meet her offspring for the first time. We chose not to learn the gender for either of our babies (both girls, as it turned out), much to the disbelief and consternation of many of our contemporaries. Call us old-fashioned, but we just wanted to wait for the surprise. Given the choice, I don’t think we would have opted for the Platinum Peek package, either. like productions James Cameron directed. This entry was posted in Growing Pains and tagged 3D ultrasound, babies, children, expecting, humor, maternity, mom humor, motherhood, parenting, parenting humor, poetry, pregnancy, pregnancy humor, ultrasound, well-versed mom. Bookmark the permalink.